To manage a competent manufacturing outfit with efficiency, quality, and productivity, you would require complete visibility and control of your resources and operations. These would include materials, supply chain, and production processes. When you have all the elements in focus, you can meet production goals and be agile to respond to market challenges. Leverage our deep industry expertise built into our manufacturing production solutions, which provide world-class manufacturing best practices and help you profit from digital business transformation and Industry 4.0 initiatives. The Wheelabrator core model built on Microsoft Dynamics AX for Industrial Equipment Manufacturing is the key to restructuring our global operation to be more efficient and responsive to our customers. It gives us a much clearer picture of all the input costs across our supply chain. 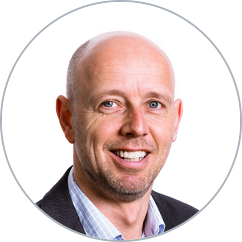 It also allows our people from all of our major departments work in the same system, they can collaborate and exchange critical business information with ease. The industry expertise of To-Increase played a major role in helping us enhance and extend the built-in functionality of Microsoft Dynamics AX to meet our needs. Your manufacturing company is a complex operation, and the interaction of its many moving parts affects revenue and customer satisfaction. A modern ERP does most of what you need to elevate your manufacturing management, but it often has a few functionality gaps. 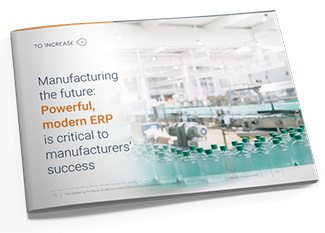 In this free whitepaper, you'll learn how software tools that extend the capabilities of your manufacturing ERP system help you close the gaps.